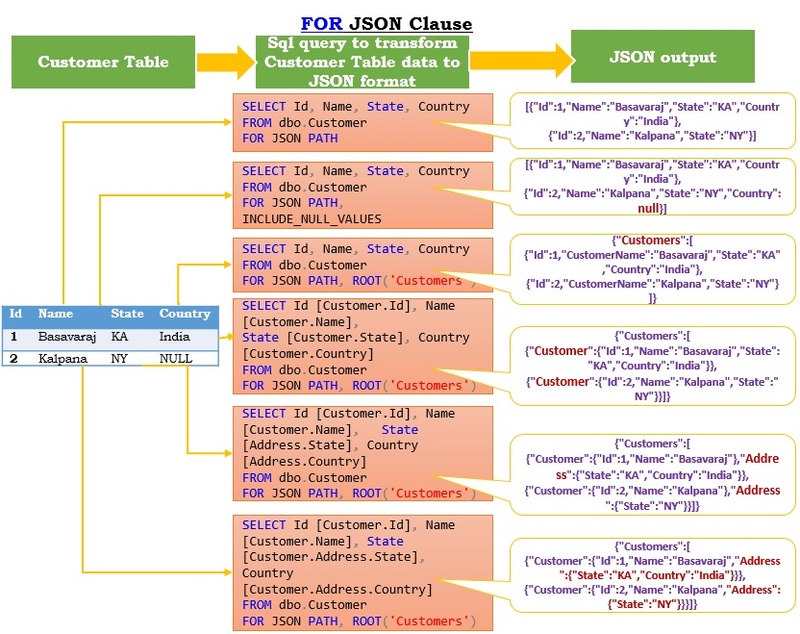 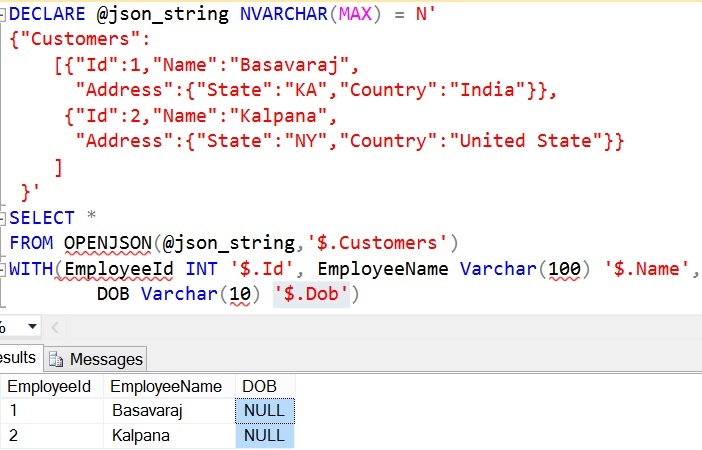 JSON_VALUE is one of the new JSON scalar function introduced in Sql Server 2016. 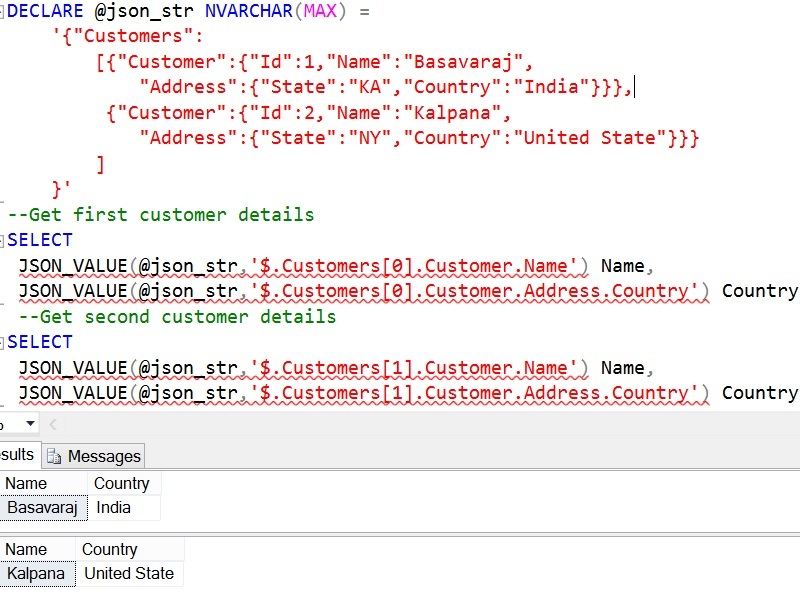 This function returns the scalar value from the input JSON text from the specified JSON path location. 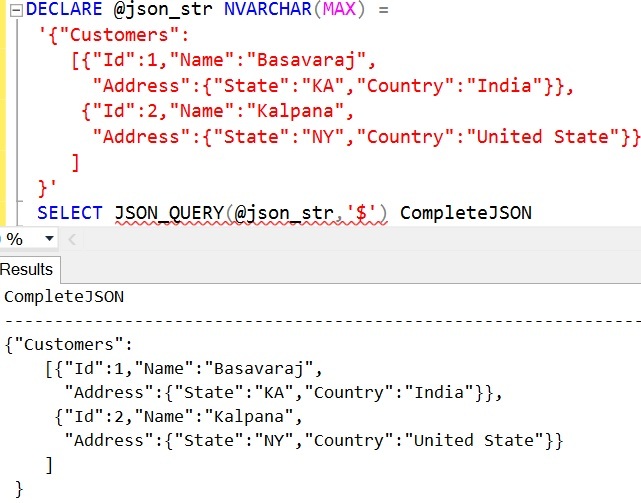 json_path is the location of the scalar value in the json_string. 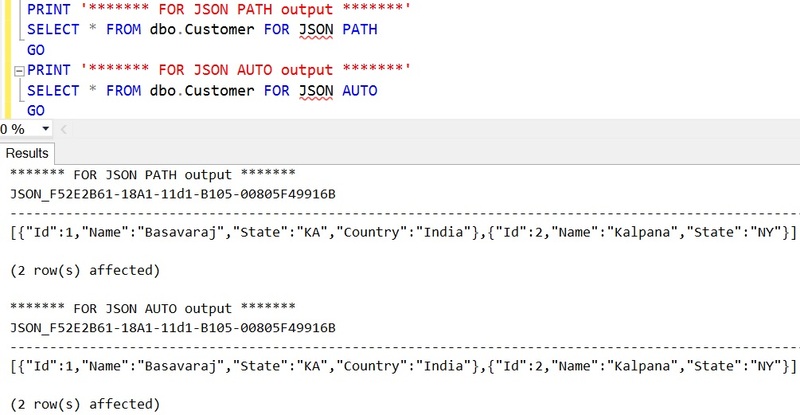 Within json_path we can specify the path mode, it can be lax or strict. 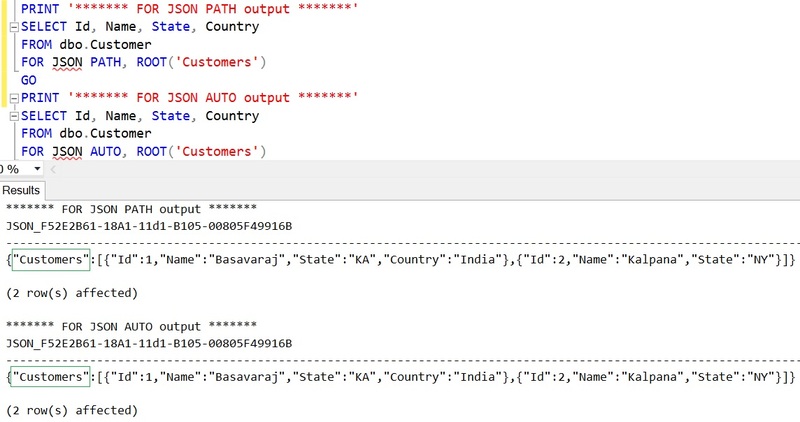 Lax is the default path mode, if json_path is invalid (i.e. 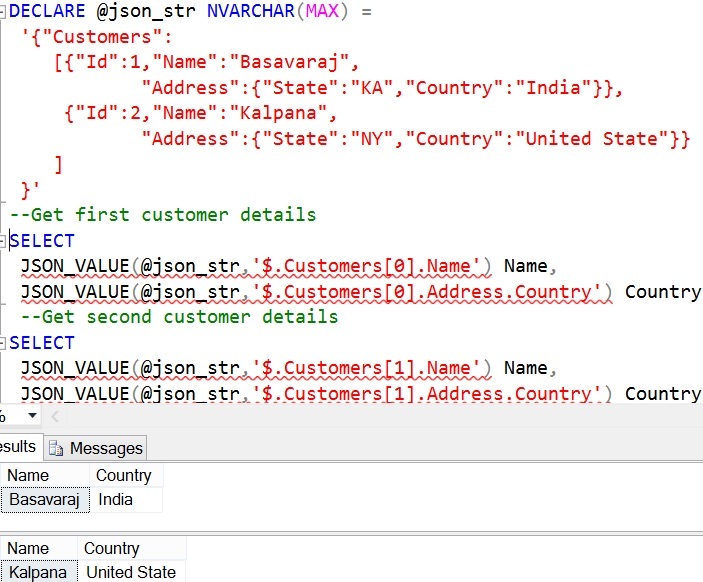 it is not present in the json_string) then it returns null, but if path mode is strict it will raise an error. 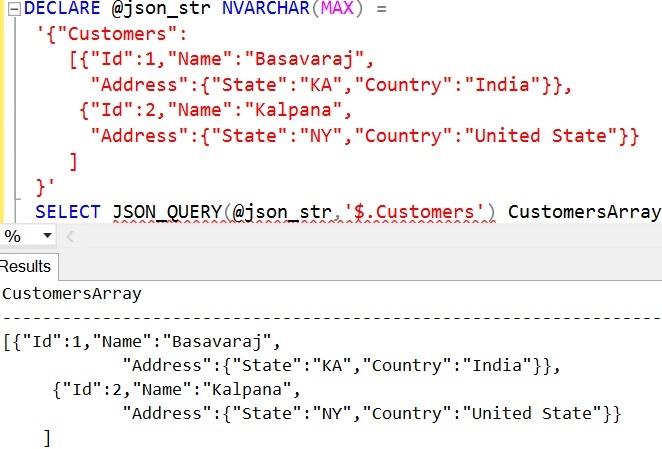 Here in the json_path the $ symbol implies the json_string and $.FirstName means FirstName property in the json_string at the root level. 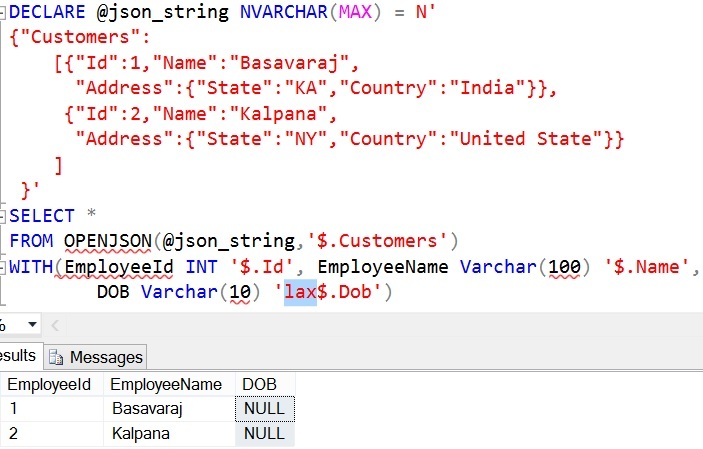 Here in this example FirstName property is not at the root level instead it is in the Name object, because of that we need to specify the path as ‘$.Name.FirstName’ instead of just ‘$.FirstName’ like the example 1. 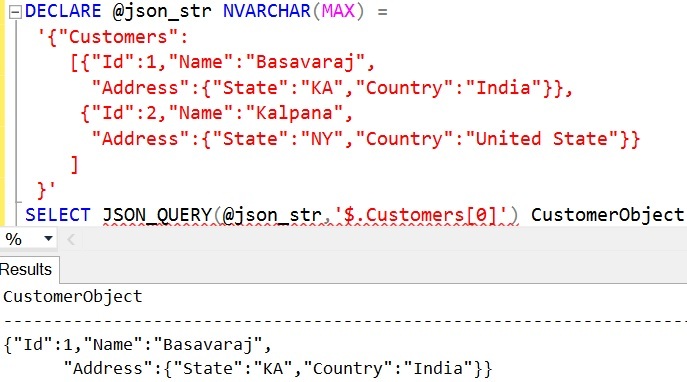 From the result it is clear that, specifying the JSON path like $.PropertyName, just tries to locate the PropertName just at the root level, in otherwords JSON path is the exact location of the string. 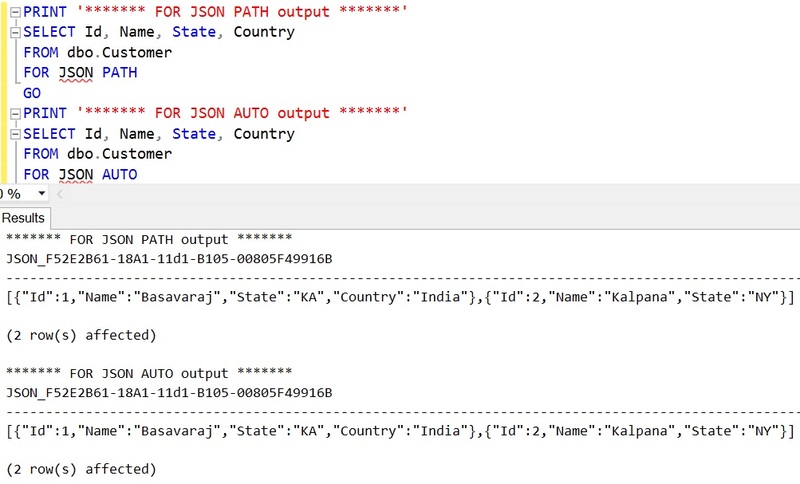 JSON path is not properly formatted. 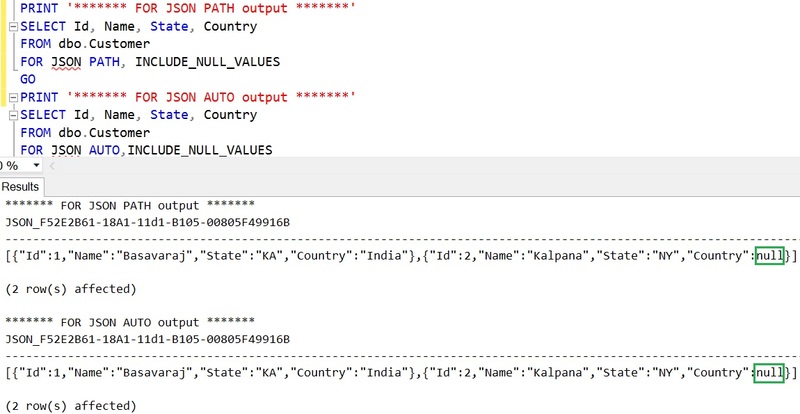 Unexpected character found at position 7. 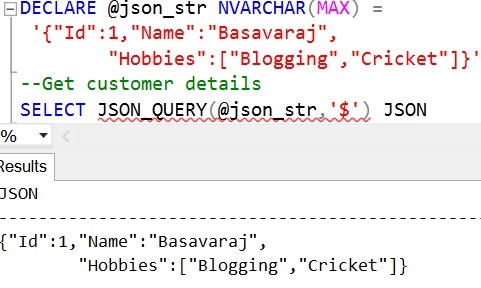 In case if the JSON property name has a space in it, then while specifying it in the JSON path we need to specify property name by enclosing it in the double quotes.